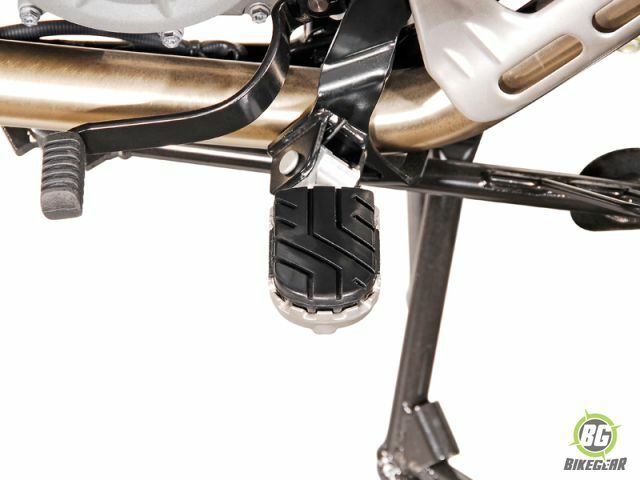 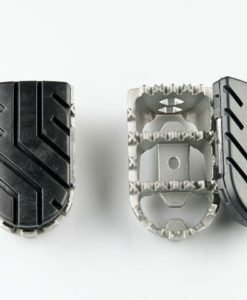 The convertible On-Road/Off-Road Foot-pegs system from SW-Motech allows you to replace your stock pegs with wider pegs at one of two heights, complete with a removable rubber pad for quick conversion from on to off-road applications! 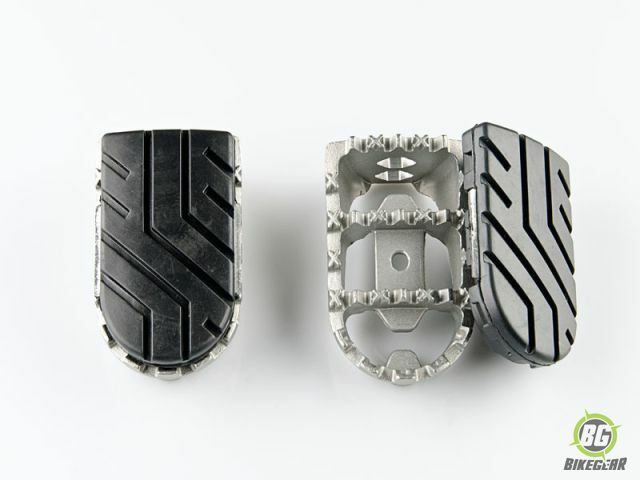 These foot-pegs are bike-specific with removable textured rubber foot pads included. 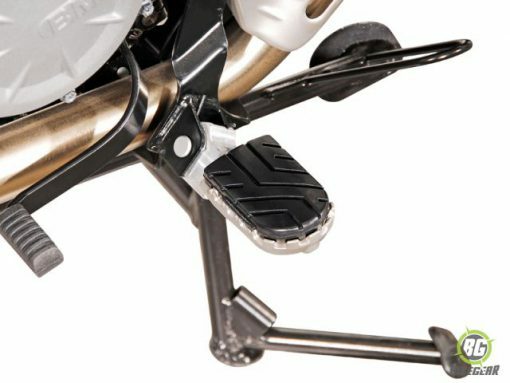 Attaches to original foot-peg mount. 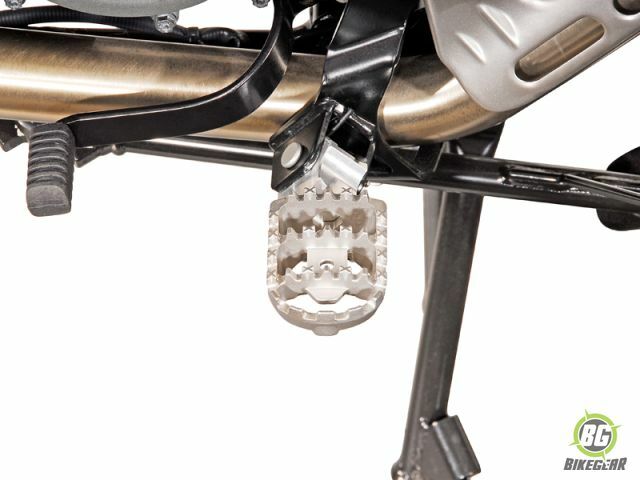 Height can be lowered 15 mm from stock position. 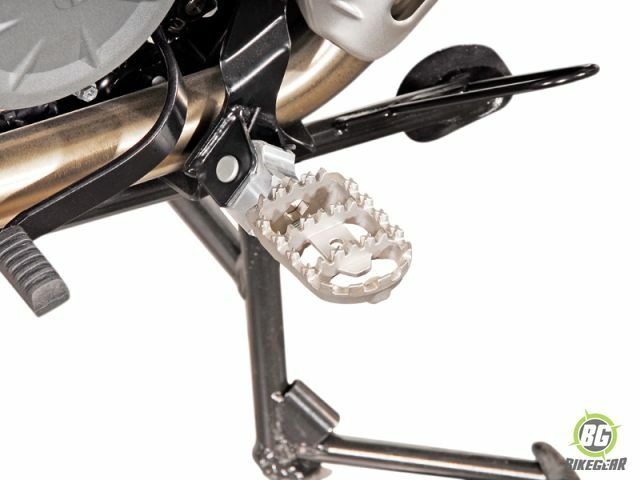 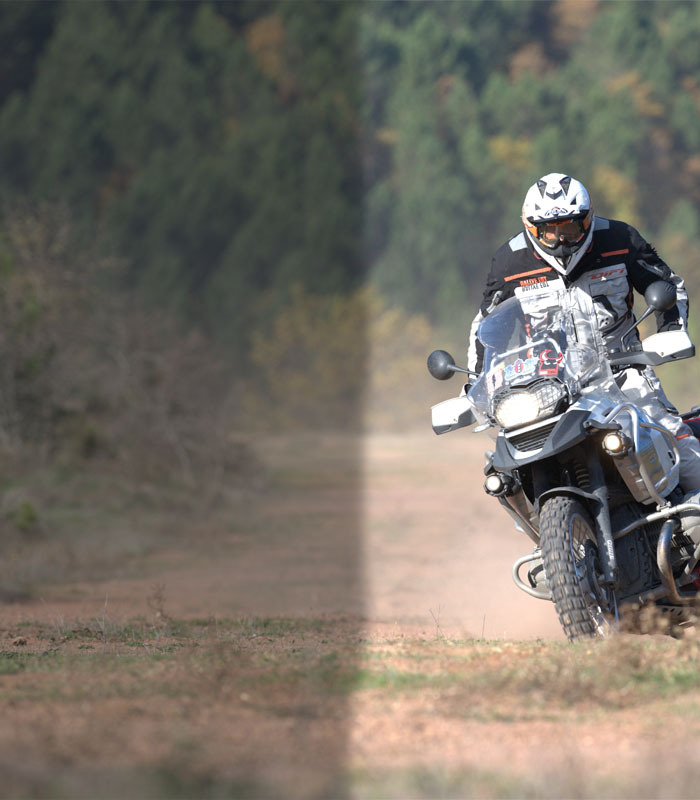 PLEASE NOTE: For the Dakar models to fit, a slight adjustment to the spring needs to made.